Taylor Wiseman & Taylor was contracted by United Communities, LLC (UC) to team with them for the privatization of military housing at McGuire Air Force Base and Fort Dix in Burlington County, New Jersey. The project consists of replacing the “stereotypical” military-style housing on the bases, most of which are in questionable condition, with more comfortable, attractive homes, similar to those available to the private sector. This project also included providing ongoing management and maintenance of those homes for the duration of the 50-year contract. Included in the project is demolition of 1,915 existing houses and renovation of 719 units. More than 1,600 new homes will be constructed to supplement the renovated dwellings. Taylor Wiseman & Taylor was responsible for site/civil engineering and local, state and federal permitting for the project. The work included preparation of site construction documents, stormwater management design, sanitary sewer collection system, potable water distribution, roadway plans, pavement design, earthwork analysis, forestry harvesting plans, established clearing limits and cost estimating. Additionally, Taylor Wiseman & Taylor provided the fast-track design of a 9,000-foot gas main extension to the project site, which was designed, permitted and constructed within three months. Extensive land surveying, aerial mapping, Phase 1 Environmental Assessments, NJ Pinelands Commission approval along with underground utility location services were required to be completed in a short time frame to support real estate due diligence prior to execution of a contract between United Communities and the federal government. Approvals were obtained from the Air Mobility Command (AMC), NJ Pinelands Commission, McGuire AFB and Fort Dix Engineering CESCD, Burlington County Soil Conservation District, New Jersey Department of Environmental Protection. 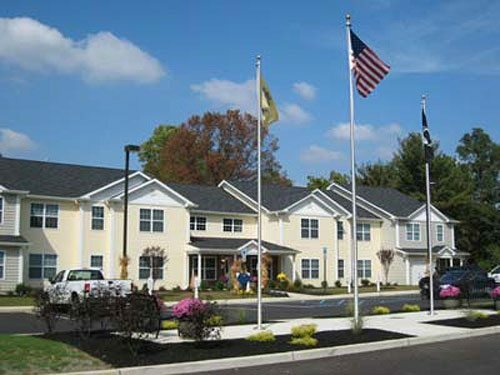 Members of the United States Armed Services and their families are able to move into up-to-date single-family homes and townhouses throughout the Air Force and Army bases in Burlington County rather than the half-century old housing that has provided lodging until now. 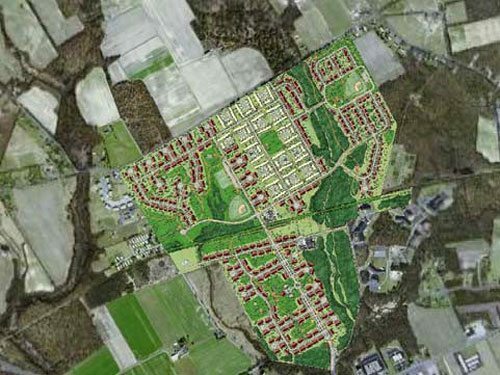 The $384 million project, the largest in the history of Ft. Dix and McGuire, saved the military millions of dollars while pumping new life into the area economy.